Game recaps, Alex Ovechkin and Patrice Bergeron reach notable milestones, injury updates, and more in today’s NHL morning coffee headlines. 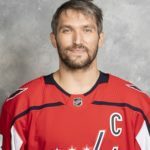 NHL.COM: Washington Capitals captain Alex Ovechkin picked up an assist to become the highest-scoring Russian-born player in NHL history (1,180 points) in a 3-2 win over the Vancouver Canucks. During a timeout, the Capitals honored Canucks center Jay Beagle for his 10 seasons with the club. Beagle signed with the Canucks last summer as a free agent. Washington Capitals captain Alex Ovechkin is now the highest-scoring Russian player in NHL history (Photo via NHL Images). Earlier in the day, the Canucks learned defenseman Alexander Edler suffered a concussion and required stitches during Monday’s game against Philadelphia. An injury to backup goalie Thatcher Demko on Monday prompted the Canucks to call up Mike DiPietro on an emergency basis. Boston Bruins center Patrice Bergeron celebrated his 1,000th career NHL game by scoring twice in a 3-1 victory over the New York Islanders, ending the latter’s eight-game points streak. The St. Louis Blues overcame a 2-0 deficit with three unanswered third-period goals to beat the Florida Panthers 3-2. Vince Dunn tallied the game-winner. The Blues (53 points) sit one point out of a wild-card berth in the Western Conference. A four-goal third period powered the Los Angeles Kings to a 5-1 victory over the New Jersey Devils. Tyler Toffoli scored two straight goals while Ilya Kovalchuk tallied in his first game back in New Jersey since departing the Devils in 2013 for the KHL. Carolina Hurricanes goaltender Curtis McElhinney made 23 saves to blank the Pittsburgh Penguins 4-0. The Hurricanes (58 points) are also three points out of wild-card contention in the Eastern Conference. Montreal Canadiens winger Brendan Gallagher scored two first-period goals to lead his club to a 4-1 victory over the Anaheim Ducks. The Canadiens also learned earlier in the day that forward Paul Byron did not suffer a fracture to his left forearm on Sunday. The Ducks announced defenseman Korbinian Holzer has left the team and returned home for personal reasons. The Vegas Golden Knights snapped a four-game losing streak by beating the Tampa Bay Lightning 3-2 on a shootout goal by Alex Tuch. Lightning goalie Andrei Vasilevskiy made 35 saves. Nashville Predators captain Roman Josi scored a goal and set up two others in a 5-2 victory over the Arizona Coyotes, handing the latter their fourth straight loss. San Jose Sharks captain Joe Pavelski’s shorthanded overtime goal enabled his club to down the Winnipeg Jets 3-2. Jets head coach Paul Maurice was appearing in his 1,500th career NHL game. Sharks defenseman Erik Karlsson remains sidelined by an illness but could rejoin his teammates later in their four-game road trip. A three-goal outburst in the third period gave the Columbus Blue Jackets a 6-3 win over the Colorado Avalanche. Pierre-Luc Dubois scored twice for the Jackets. The Chicago Blackhawks tallied five straight third-period goals to thump the Edmonton Oilers 6-2. The Blackhawks now sit three points out of a wild-card berth in the Western Conference. Oilers defenseman Oscar Klefbom returned to the lineup after missing 21 games with a broken finger. SPECTOR’S NOTE: That was an ugly collapse by the Oilers, who are also three points out of playoff contention but also have just three wins in their last 10 games. The Blackhawks, meanwhile, have won five straight to play themselves into the postseason picture after spending most of this season wallowing near the bottom of the conference. SPORTSDAY: Dallas Stars forward Tyler Pitlick will miss the next eight weeks recovering from wrist surgery. Holzer isn’t the only Duck that needs to leave.